No, You Can't Have This One! I will draw three names from the pot of entries I have accumulated. You can enter additional times here daily, if you like. However, this giveaway will be drawn from the main pot, so everyone gets a chance, no matter how long ago you may have entered. Entries will close at 5 PM on Friday, May 13. Watch for a post on Saturday to announce the winners. Three winners will win the Petstages Stuffing-Free Gator squeaky toys for their dogs. Tanner is showing it off at the top of the post, but you can see their website image of it below. We love the cool design that allows it to continue to squeak, even when punctured. And Tanner likes the fact that it makes two different squeaky noises--one on each end. Imagine that! Thanks to Petstages for providing the gator toys for today's giveaway. Tanner loves his, and Oliver, well....check on him at 5 Minutes for Fido to see how he's doing. He was looking a little squeamish. Good luck to you and your gators. If you're a winner, be sure to send your address to me at LetsAdoptaDogPark@gmail.com. 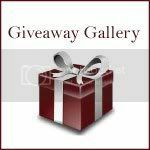 Thanks for your patience with this giveaway being offered in a second post; the Saturday Blog Hop rules now forbid giveaway posts, so watch for product reviews and helpful information like the gator safety post. For all of you that are moms, I wish you a very happy Mother's Day. Try to take some time to enjoy your pups today. Unconditional love is the best. What a cute toy, my dogs would love to play fight over it. This is the cutest toy for our dog Casey! don't know if we are still allowed to enter. Please enter us if we are allowed. I do have a dog! My dog would be thrilled to play with these amazing toys. 5/8 Happy Mothers Day entry, and I hope all the pet parents had a wonderful time. My dog has a special toy that he likes to play with, but he would be happy to have another one. 5/9 Today's entry for the gator toy for my sweet pups. 5/10 Entry for my two Alaskan Malamutes that would love to go gator hunting. This is a great toy for any dog. i like All things dog Blog on Facebook. 5/11 entry for the cute gator toys for my furkids. 5/12 Entry for the cute gator toy. Rocky is a very playful dog who enjoys every new toy he receives as a gift. I like All things Dog on Facebook. My last chance to win the gator entry. Close call....thanks everyone for your entries. Good luck and check the blog tomorrow for the winners' names. A great toy for all kind of dogs.